Sometimes the simplest things are the best. 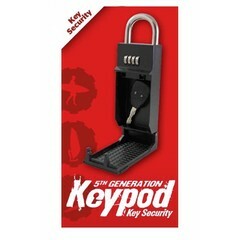 Keypod Key Safe is a simple way to securely lock up your key whilst you hit the water. Effectively a mini safe the Keypod attaches to your car, gate, bike away from thiefs and out of the weather.